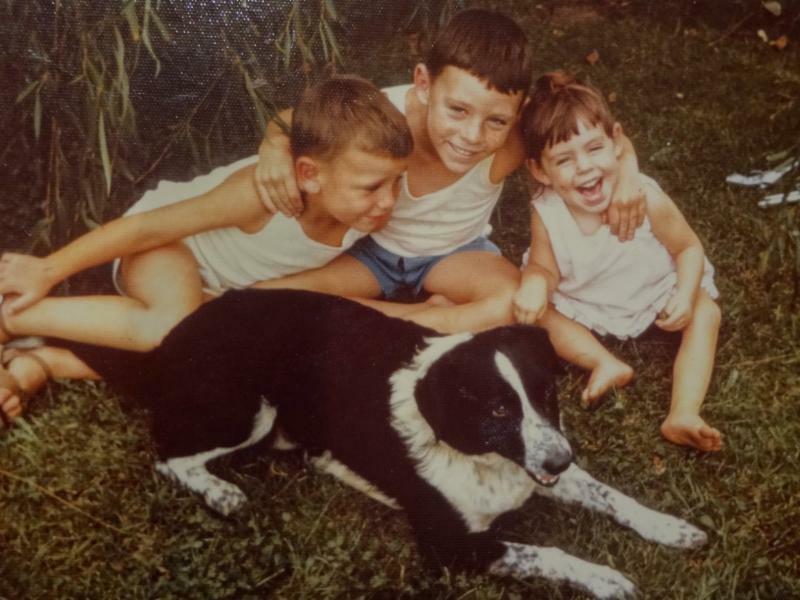 It has become a tradition at so much MOORE media to collect unique holiday memories from our clients and share them with you to spread a little cheer. Some recollections are funny, some are touching, but all are from the heart. So from our homes to yours, we wish you a memorable holiday season - and the hope that you'll enjoy these reflections of Christmases past from The Roys, Lisa Matassa, Jay Jolley, Joanna Mosca, LiveWire, Sherry Lynn, The Stetson Family, Lizzie Sider and Mike Aiken. 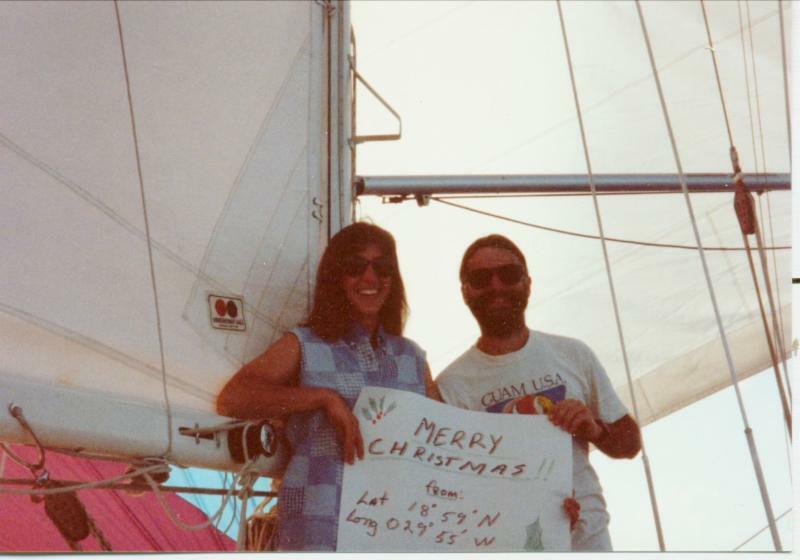 One year we spent Christmas and New Year's at sea on a 24-day passage between the Canaries and Antigua. Because we are such a small vessel, we always call ships on our VHF radio to make sure they can see us and that our transmitters are working. While at sea, this is our only means of communication. Our line of sight (nine miles from horizon to horizon) is our maximum communication distance. That Christmas Day, we were approximately 1000 miles from any land and had had no communication from anyone, so no one knew if we were alive, dead or in a life raft. It was a Christmas miracle that a freighter appeared on our horizon that day. Typically, we don't see many of those big ships, and when we do, they are not in our view for long. On that day, we were nowhere near the shipping lanes, but out of the blue, a Captain came on our radio and asked if we needed anything: fuel, food, etc. We asked if he could send a fax to our families to let them know we were thinking of them and to give them our updated position. He agreed readily, saying it might be nicer if he made a phone call for us, so he stopped his ship to stay in range. He remained on the bridge and spoke with us about the small boat he sails when home in the North Sea while his mate went to a different part of the ship to patch the phone call through to my father. We learned much later that after we parted company with the ship, the Captain and my dad spoke for another hour. As far as we are concerned, that was Santa Claus on the bridge that day. Christmas time has always been a big time for me as I'm one of those Christmas Day babies! Yep, born on the day itself - but not only was I born on Christmas Day, Mum unintentionally decided to make it extra special and gave birth to me in a 1956 Holden FJ Ute. Now, if you're unfamiliar with this iconic Australian car, the equivalent would be being born in a classic '50s Chevy pickup truck. My Christmas birth even made a little story in the newspaper on Boxing Day, under the heading, "Father just kept driving and honking the horn!" As I was growing up, people would say to me, "Oh, you poor thing being born on Christmas Day," but I actually never knew what they were talking about because in my mind it was the most special thing ever! My mum and nan always made sure that my birthday was not simply lost in the excitement of all of us kids in a sugar-crazed, present-opening frenzy. Christmas Day here in Melbourne is usually 100 degrees in the shade, so we would all sit outside under Nanna Lil's clothesline eating a hot roast lunch (go figure), and at some point during Christmas lunch I would get presented with the wishbone from the chicken and Nan would tell me that I could wish for anything I wanted. That little offering was so amazingly special. Looking back and knowing that my nan was quite poor and went without so she could give her grandkids a present and feed not only our families but the extras who had nowhere else to go, she sure knew how to make people feel good. I thank her for instilling in us that Christmas is about generosity of spirit, and giving, not of presents, but of ourselves. Lee's daughters Alexis and Danielle. I remember when I was a kid counting down the days 'til Christmas and couldn't wait to see what Santa had brought me. Now that I'm grown and have two daughters, Christmas has come full circle for me. We honor the same traditions that both my wife and I observed as kids, letting the girls open one gift on Christmas Eve and then sit around the tree with Christmas music playing until bedtime. The kids get to open the rest of their gifts on Christmas morning. Christmas at The Roy house has always been a wonderful time of year. All my memories include being with family, involve turkey dinners with all the fixings, and of course music. We were also always blessed that Santa came to see us. I remember one Christmas in particular when we went to Canada to spend the holidays with my Mom's side of the family, The LeBlancs. That year there was a tape recorder under the Christmas tree, and I remember being so excited. It was the very first time that I could sing and then hear myself back. It was so awesome. The holidays are a special time of year for us since we get to spend it with our families and thank God for all the blessings that we have in our lives. One year we adopted a little Persian cat for my Mom for Christmas. She named the cat Cleo, and my Mom was devastated one day when the cat went missing. After searching around the house and all over the neighborhood, we noticed the Christmas tree shake a little bit. Turns out, Cleo was sleeping very comfortably in the branches of our Christmas tree and blended right in like an ornament! From that point on, we always checked the tree first whenever Cleo would "disappear." Christmas is my favorite holiday of the year. Thinking back over the many great years of Christmas joy, I would have to say one of my coolest and truly most awesome Christmas memories was made several years ago. For the last 10 years, a group of six to 10 fellow musicians gathered and sang carols at several local hospitals and retirement homes. We started in the lobby and then went anywhere the staff would let us, spending several hours at each location. A few years back, we were serenading our way through the hospital hallways and the patients who couldn't leave their beds would give us a smile and say, "come on in." As we approached one of the last rooms on the floor, we were told by a visitor that her mom had been in a coma for several weeks but that she loved Christmas music. We all fit snuggly in the room and spent a good 20 minutes singing to her. Her daughter was ecstatic, and we were hopeful that somehow our Christmas cheer would help heal their heavy hearts. To our surprise, we were told several days later by the hospital that our music not only brought them cheer, but that the mother had awakened from her coma. Unbelievable but true. Music heals, my friends. 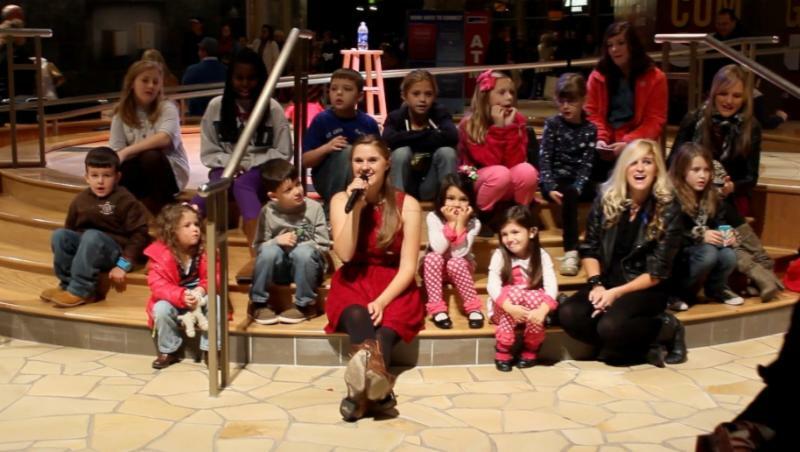 Two years ago I was asked to sing Christmas carols for the children and their families at the Ronald McDonald House in Nashville. It is a special memory for me. One young boy, deaf from birth, was suffering from a terminal disease. Nevertheless, he asked if he could come up and sing with me. His Mom joined us and "signed" all the songs as we sang them. It was so gratifying to see the excitement, pride and joy on his face as he sang those songs with me. It brought tears to my eyes when his mother thanked me for giving him such a special moment. She said he had been through so much in his short life and that it was especially wonderful for her, as a mother, to see him experience such joy. That experience reminded me of what the true meaning of the holidays is and made me appreciate all the blessings that I have been given. I have so many wonderful memories of the holidays that it's hard to single out just one. Being raised by a single mom was never easy, but she always made sure that we had a great Christmas every year. 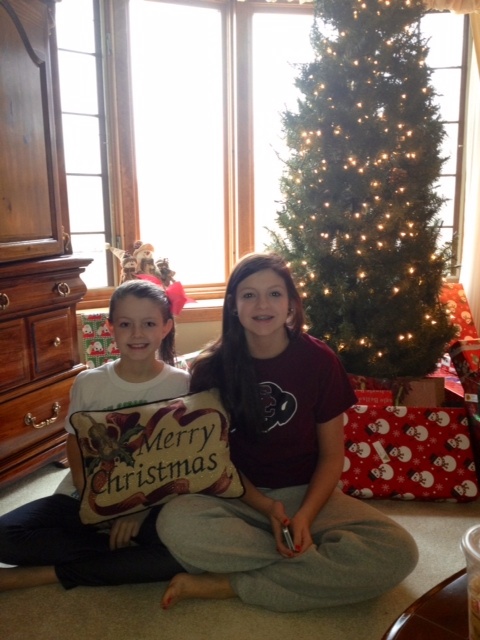 I couldn't wait until Thanksgiving night when we would put up the tree. 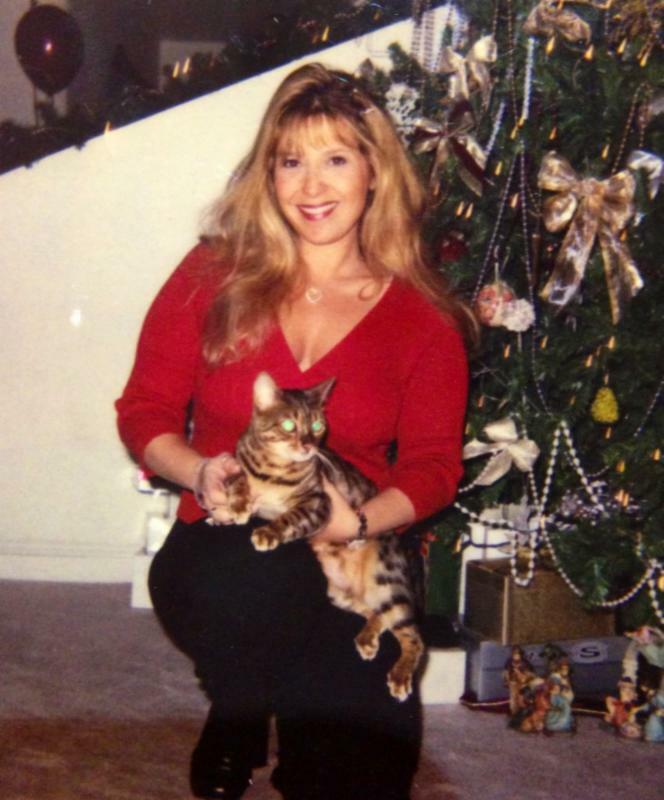 I loved decorating the tree and I was so excited the first year my Mom let me put the tinsel on all by myself. I knew just how she liked it so I made sure that it was perfect, and somehow it became my job every year after that. I still love decorating for this magical time of year. Every Christmas Eve we would go out to one of our favorite places to eat (the Barnsboro Inn) with a friend of my Mom's and her daughter. When we got home later that night we were allowed to open one present each. I couldn't wait for that moment. Mom would get up and put the turkey in the oven at 2 a.m. When we would wake up in the morning, the whole house smelled amazing. I was always the first one up, and I would wake everyone up so we could finish opening our presents. My Mom always opened her door to anyone she knew that would be spending the holidays alone and had them over for Christmas dinner. Having friends and family around always makes the holiday season so much brighter. 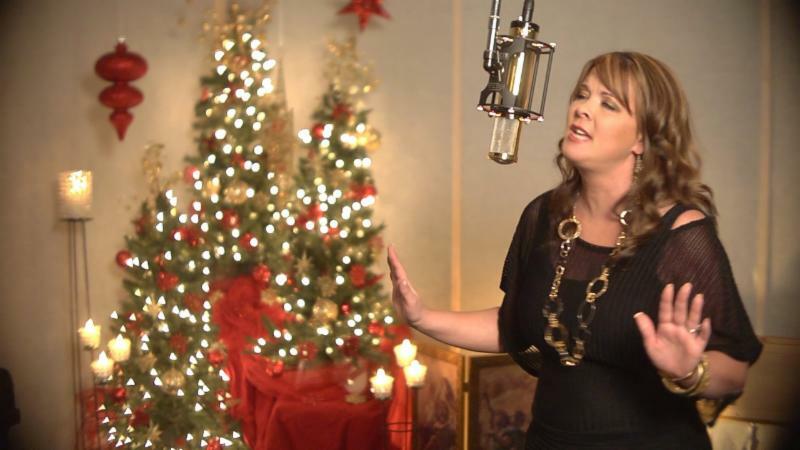 "It was a few days before Christmas a couple of years ago, and I was playing a show at the Opry Mills Mall. I was singing a lot of Christmas songs, along with my own. That night, I had decided that my finale was going to be "White Christmas." When I started to sing it, I immediately got the inspiration to pull up little kids from the audience, bring them on stage, and ask them to sing the song with me. The children got so excited, and people young and old, both on the stage with me and in the audience, sang along. I loved looking around at all of the smiling faces, and it was a very special time. For those couple of minutes, we were all celebrating the beauty and spirit of the Holidays, and also one another." I have many great memories of all my DeGonia family members getting together for Christmas at my grandma and grandpa's house, gathering around the piano, playing music and listening to my aunts and uncles singing the Gospel. 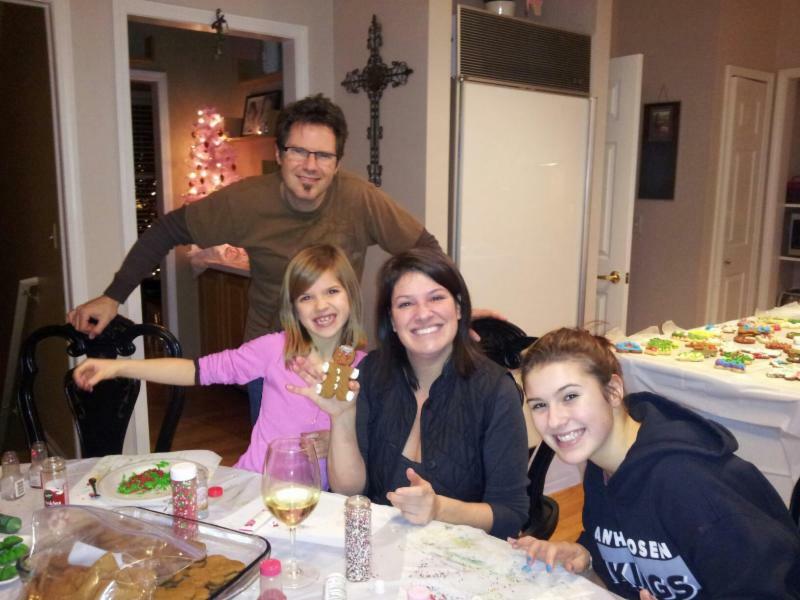 I will never forget the great food and the fun of being with all my cousins and enjoying the holidays with each other.